I can't believe we're at the end of November! This year has actually whizzed by! 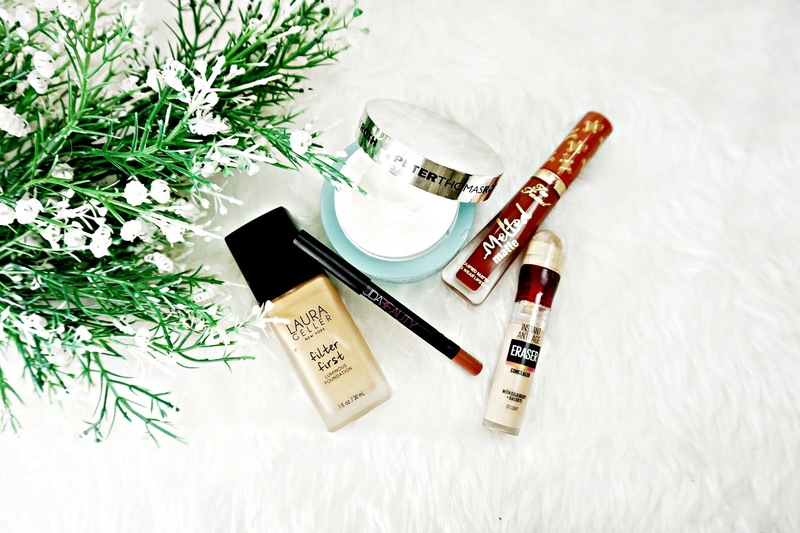 But the end of the month means it's time to round up the beauty products I've been loving. I actually cannot get enough of this moisturiser, I'm on my second tub. I won't go into too much detail about this because I've been banging on about this recently (see this post for more details). But this is such a good hydrating moisturiser. It really has helped keep my dry skin at bay. The formula is so light and absorbs into the skin so quickly, leaving it soft, smooth and plump. I used this concealer years ago but I didn't really like it back then. I recently brought another one and I really love it. I'm not huge fan of the weird sponge applicator but the concealer itself it amazing. It's so light and creamy, it blends with total ease. The coverage is actually really good to, I'd say it's medium but build able, to full. It does a good job at brightening my under eyes too. It does crease ever so slightly on me but that's not uncommon for most concealers on me. Overall, it's a good solid concealer. Too Faced's christmas collection this is year is so stunning! I picked up the Ginger Bread Girl liquid lipstick and I've fallen in love with the shade and the formula. The shade is a warm Reddish Brown colour. To describe it doesn't sound like anything special but I don't have anything like it in my (pretty extensive) lipstick collection. The formula is really pigmented, it applies opaque in one swipe. It dries down matte, but it isn't to matte it looks dry or crusty. I don't find this drying on my lips either, which is actually really impressive, almost all liquid lipsticks bar a few dry them out. I've been reaching for this Huda lip liner pretty much exclusively recently. I love everything about it. I have the shade Trendsetter, which is a warm Brown colour. The formula is really creamy and applies to lips without pulling or dragging them. It's really pigmented to, sometimes I actually wear this alone. I really can't recommend it enough. Laura Geller is such an underrated brand. I've been really enjoying this foundation. It contains crushed pearls to blur and perfect the skin. Don't worry though you can't actually see them. But this does have a blurring effect. It also gives the skin a natural luminous glow, but not like regular dewy foundations, it's matte with a radiance to it. The consistency of the foundation is really watery making it super easy to blend. It melts into the skin, leaving a natural veil of coverage radiance. I'd say the coverage is on the lighter side of medium. This is such a good foundation! So there's a few products I've been loving throughout November. Have you tried any of these? What have you been loving?